Who Will Be At World of Coal Ash 2017? 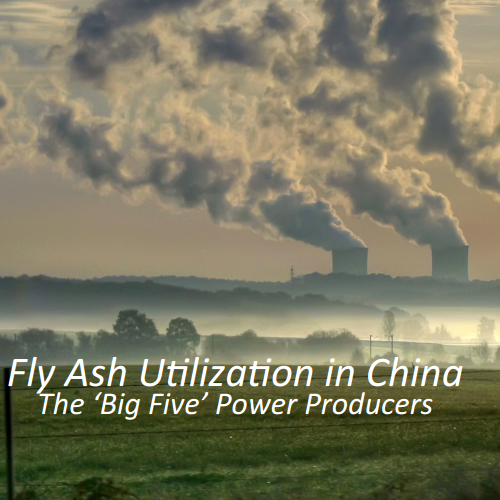 AsianCAA will attend its 3rd World of Coal Ash conference, this May 8-11 in Lexington Kentucky. Mr. David Harris, Chairman of the association will be presenting during the Shortcourse portion of the event, sharing an international perspective on Asian suppliers meeting global demands. Mr. Harris serves as advisor to power generators, construction material manufacturers and municipalities in Asia. Keep reading for presentation times and locations. A subsidiary of Datong Coal Mine Group will be bringing a small delegation of representatives to share their unique jet steam milling technology. The jet steam facility is the largest in China with an annual output of 100,000 tons of ultrafine industrial minerals. Our co-hosts of Coal Ash Asia and academic matching partner for this year’s Coal Ash Asia event, July 21-24 will be attending WOCA this May. The Institute of Technical Information for Building Materials Industry of China was founded in 1958 and is managed by the China Building Material Industry Association (CBMA). ITIBMI is dedicated to research on cement, glass, ceramics, new building materials and non-ferrous metal, and has publications particularly on cement itself and the building material industry. The institute is one of the key organizations working on cement technologies and materials in China, with direct relevance to energy efficiency. Want to know who else will be exhibiting at World of Coal Ash? Click here to see the list of 2017 exhibitors. World of Coal Ash, the coal combustion product industry's longest-running international event, drew a record turnout this year with more than 800 attendees participating in short-courses, presentations and the largest ever exhibition held at the Nashville Convention Center in Nashville, Tennessee. The Asian Coal Ash Association participated as an exhibitor at WOCA, promoting the upcoming Coal Ash Asia 2015 event. AsianCAA also assisted in the organisation of a delegation of industry leaders from China, in collaboration with ITIBMI and Coal Ash Solutions Ltd. AsianCAA chairman David Harris also participated as a keynote speaker and panelist in the plenary session. The record turnout at WOCA 2015 was accompanied by renewed optimism amongst WOCA participants, widely attributed to the US Environmental Protection Agency's December 2014 signing of the final ruling on "Disposal of Coal Combustion Residuals". This final rule supports the responsible recycling of CCRs by distinguishing safe, beneficial use from disposal. Following 6 years of extensive study on the effects of coal ash on the environment and public health, the final ruling delivers a degree of regulatory certainty around disposal, transportation and utilisation of coal combustion products. This regulatory clarity provides guidance and mitigates regulatory risk for industry stakeholders looking to make responsible investments in ash management and utilisation.